Korean midfielder Ki Sung Yueng, better known to some as the (eight years) younger husband of actress Han Hye-jin, scored his very first goal in England to stun Chelsea. 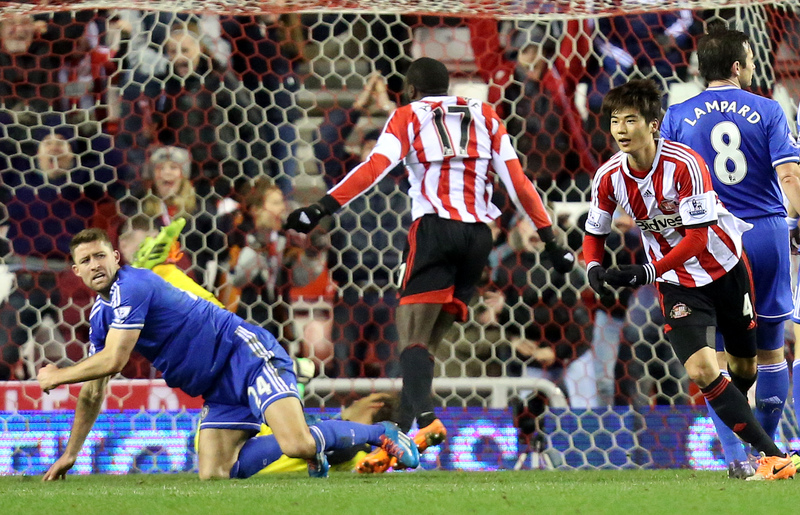 Ki, 24, struck in added time – the 118th minute to be exact – to pull Sunderland into the semifinal of the Capital One Cup. Sunderland had evened the score with just two minutes left in regulation and Ki completed the dramatic comeback win at the Stadium of Light on Wednesday. 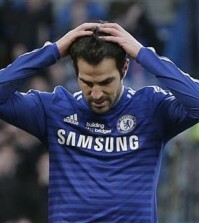 He had entered the game as a substitute, 16 minutes into the second half. Ki, who takes most of the free kicks for the Korean national team, signed with Swansea City in August of last year to play in the English Premier League, and it took 16 months for him to finally score. He was loaned to Sunderland back in August.